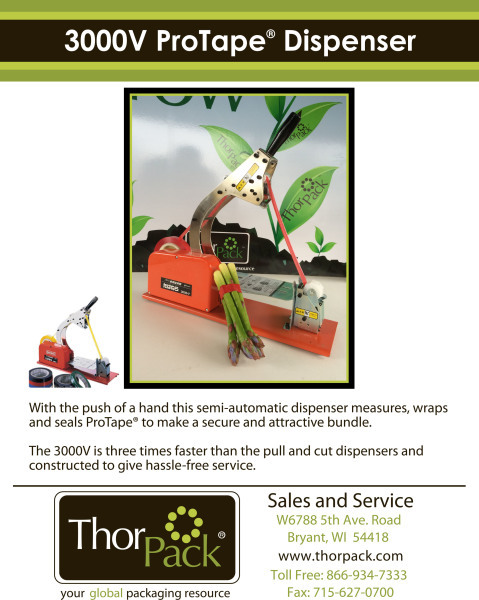 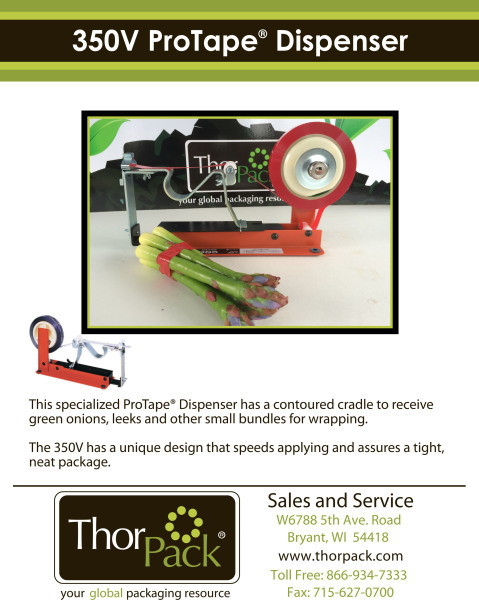 ProTape Dispensers have become a very fast selling item. 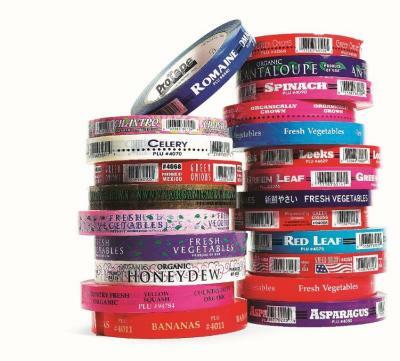 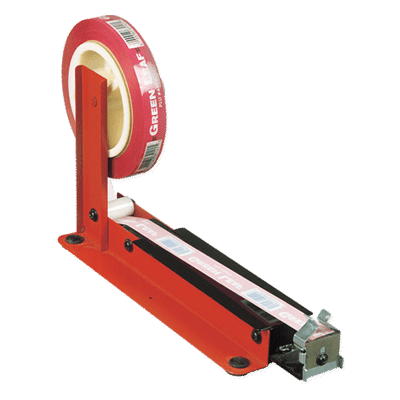 for the small to intermediate producer, Pro-tape can simplify your bundling requirements. 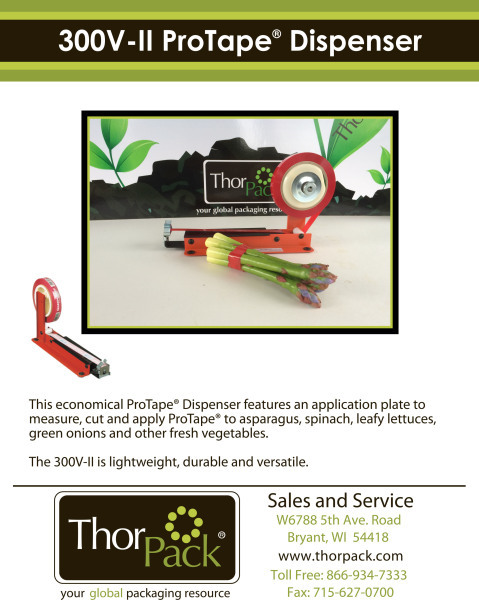 They are easy to use and can be in a shed environment or right out in the field as the crops are being harvested. 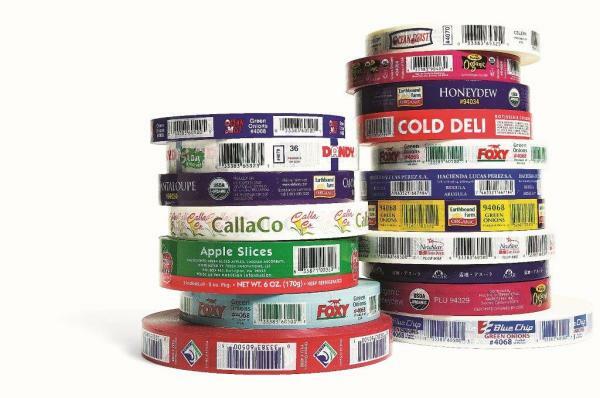 The prices are very reasonable and the tape can be plain or custom imprinted.